Need To Move? 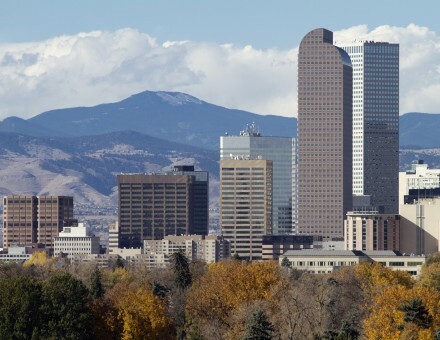 Don't Leave Colorado - Stay Local For These 8 Great Reasons. Need To Move? Don’t Leave Colorado. February 16th, 2017 | Lifestyle. When you’ve outgrown your house or it’s time to find a new job, you need to move. Moving, though challenging, is often exciting as well. You get to explore new places, meet new people, and try new things. However, when you live in Colorado, you don’t need to move far. Move locally, and stay within your city or within the state. Colorado has a lot to offer, and you’ll miss the great things you already love about it, and you may miss out on the things you haven’t tried yet. Keep reading to find eight reasons to move within Colorado. How could you leave the Rocky Mountains behind? Colorado has some of the best views in the country. Just look out your window, and you may have a great view of these majestic mountains in all their glory. However, these mountains aren’t just for looking at. Colorado has forty-two state parks, four national parks, eleven national forests, eight national wildlife refuges, and two national grasslands. When you live here, there’s always something to do outside. In the winter, there’s skiing, sledding, snowshoeing, and snowboarding. In the other four seasons, you have whitewater rafting, hiking, mountain biking, and rock climbing. Chances are, if you leave the state, you won’t find a place with this kind of outdoors access. The mountains are vast-no matter how much you’ve explored them, there’s still more trails to hike and streams to fish. Move locally so you can keep exploring. If you love your beer interesting and varied, you might want to stay local. The Broncos are one of the best football teams in the nation, and if you’re like most of Colorado, you’re a big fan. If you leave the state, you’ll be missing the chance to watch games and go to tailgating parties with fellow fans. Or maybe you haven’t had the chance to go to a home game yet stay local, and don’t miss that opportunity. Maybe sports isn’t your thing-you don’t like going outdoors, and watching the Broncos is boring at best. That’s okay too. If science fiction and fantasy is more your style, you have plenty of like-minded people living around you right now. A 2014 study named Colorado the nation’s fifth nerdiest state. Coloradans are very into Star Trek, Star Wars, Lord of the Rings, comic books, cosplaying, and playing Magic: The Gathering. Your local game group or sci-fi club will miss you if you move too far. Red Rocks Amphitheatre is one of the best of its kind in the country. It’s a huge venue carved out of the rock itself, surrounded by spectacular Colorado scenery. Concerts play here just about every night in the summer. If you have seen a concert here, it’s probably a treasured memory. If you haven’t been yet, you really should go. Move within Colorado so you can still be close enough to go to a show here. With all the outdoor opportunities, dogs live great lives here. They love going hiking in the mountains with their owners. However, many of the cities here welcome dogs too. You probably won’t have to look far to find dog parks to play in, and some bars, stores, and cafes even welcome your pet. If you have a dog and love taking him or her with you when you go out, don’t leave Colorado. In a town called Copper, 5,000 people throw about 300,000 pounds of tomatoes in an enormous food fight. There are few events like it, unless you want to travel to Spain for the Tomatina. If you haven’t been to the annual food fight, you really should go. It’s one of Colorado’s best quirks. Either make an effort to go before you move, or just move somewhere close by so you can attend. Moving is always hard. Not only are the physical tasks of packing and unpacking difficult, but leaving behind friends and favorite places is heart wrenching for most people. You can save yourself some pain, effort, and heartache by moving locally. Find a better house or job within your city or within the state, and you’ll reap the benefits of moving without so many of the downsides. And for a smooth relocation, call Wheaton World Wide Moving. We’re a full-service moving company that can make the process easy so you can keep enjoying Colorado without a worry.